This is the T-shirt that started the performance revolution. We added more colors and some subtle patterns to give it an edge. Full loose fit for enhanced range of motion & breathable comfort no matter where your workout takes you. 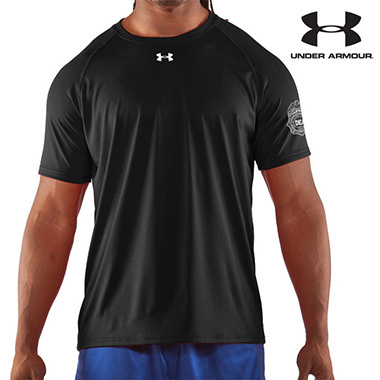 Updated Under Armour TechT fabric has a softer, more natural feel for incredible all-day comfort. Signature Moisture Transport System wicks sweat so it dries fast. Lightweight stretch construction improves mobility for full range of motion. Anti-microbial technology keeps your gear smelling fresher, longer. Polyester. It's your new go-to, in the gym and out. Colors: Black, Midnight Blue, Red, and White.